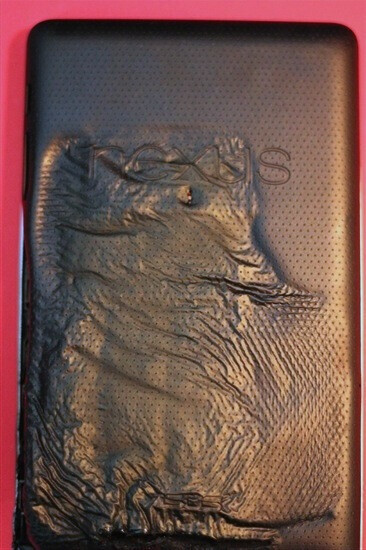 Is Hans Solo stuck in carbonite or has a Google Nexus 7 melted? Imagine plugging in your Google Nexus 7 using the OEM charger and three hours later your tablet has had a meltdown. The owner of the tablet says that the slate was in his office overnight when the incident occurred. We should say, allegedly occurred because you might recall this past June when a Samsung Galaxy S III, unplugged, resting in a car dock, exploded. At the time, Carphone Warehouse, where the unit was bought, and Samsung seemed like they were being mean when neither would exchange the phone for a new one. But as it turned out, they both were right in being suspicious. The phone had sustained water damage and a friend of the phone's owner tried to dry it out in the microwave. We're not saying that something fishy happened with the Google Nexus 7, we are just pointing out that you can't always believe the device owner in a case like this. Asus apparently believed the man as the Taiwan based firm has already sent out a new model to make up for the smoldering one that is probably undergoing an autopsy in the manufacturer's lab. 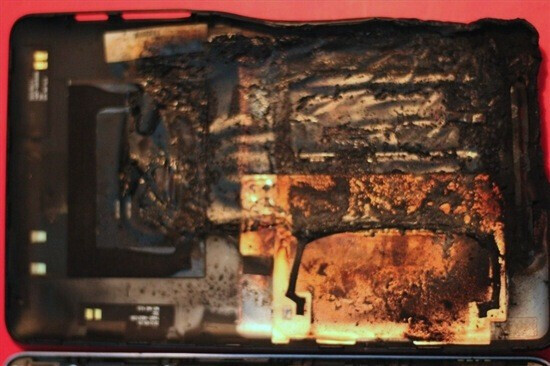 If you're into the macabre, check out the pictures below of the crispy Google Nexus 7.
i saw an amazon kindle fire being baked in an over and came out still fine...hhhhhmmmmmmmmmm any connection? I see people below are denying this happened. Had this been an iPad people would have been crying firegate or something. Mine is charging atm... all is good with the world. Maybe it actually did overheat. Electronics can and have done it before. This can happen to any device and not just N7. 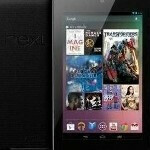 But no 1 can deny that Nexus 7 is HOT. Yep, my friend's iPhone 3GS caught on fire while charging... nothing new. I call BS. This reminds me of when the Evo first came out and someone claimed the phone exploded, which turned out to be a hoax. I have a Nexus 7 and the battery stop charging once it's full. I've left mines on the charger over night many times. This is unlikely to happen with any electronic device. theres always a possibility that a device could do things such as this. not going to rule out BS though, who knows. It may be BS, but your battery doesn't stop charging when it reaches full. It keeps taking current for as long as it is plugged in. That's not true. It stops taking a charge once it's full. However if it drops below 97% then it'll continue to take a charge. "Samsung seemed like they were being mean when neither would exchange the phone for a new one" I dont know what writer talking about. The man having the exploded phone posted on a forum that after few days he was given a new one, and after that he confessed his friend put it into the microwave. We know in the microwave metal will be melt down quickly, that's why the antena was burned. That is totally different from this case. The Han Solo caption was funny...lol. 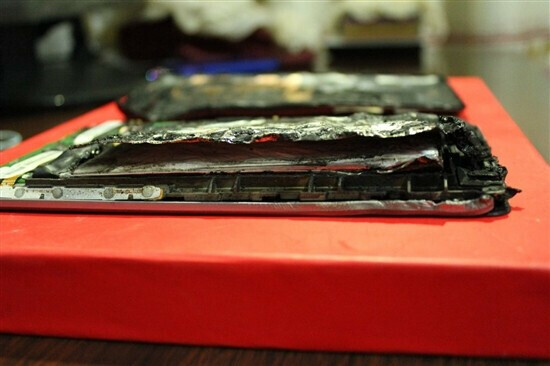 Yea....the Droid 2 was supposed to have exploded while a man was on the phone. Turns out it was a hoax. I'm not doubting this didnt happen. There could be any reason for it to happen. Defective tablet or charger. I found out a few years ago one of my wall outlets was overheating plugs, I saw burn marks on one plug. (Just some humor don't freak out) I can imagine if an iPad did this you guys would have a totally different tone of comment. Yeah they do have the rights, I'm not denying that :) I'm just saying that if an iPad melted they'd be calling apples quality into question and not even thinking about the fact that when these things happen, it's usually something the owner of the device did. I've yet to have any device from any maker melt or blow up on me. Eh. iDevices have their own problems. Read PA and you'll see plenty of issues with the iPhone 5. This is true. All devices have their issues. My iPhone 5 hasn't run into anything yet but any flaws will eventually show themselves. Like my brothers gs3s back cover doesn't clip on all the way, we've tried different backs. And my iPad has screen backlight bleeding. The problems seem to be blown up on idevices though. Yes I assume its because the super fans claiming that idevices are perfect but it gets a little nuts. As we've said before, it's because Apple is selling the idea of a perfect product, meaning it doesn't screw up, doesn't heat up and doesn't blow up. And even when it does happen, Apple just keeps pushing the blame off themselves and deny everything (Anthenaegate, New iPad overheating, Maps). Yes, I realize they apologized for most of that, but even when they did, they did not explicitly say it's their fault (Anthenaegate = It's a common problem, Overheating iPad = It's not overheating, use it less, Maps = We're improving it, so there's nothing wrong with it.) So when something f**ks up, of cause we're gonna be harsh on them. I see what you mean. But every company does that to a point. Like I bought a laptop from toshiba and the screen had dead pixels from the first boot up. I called and they said I probably damaged it on the way home and they couldn't do anything about it. Apple does have an arrogance about them, but they aren't the only company to brush blame off. well its just great its not an ipad.and looks like a Bar-B-Q NEXUS chicken. If it was an iPad the comments would be like. "iBURNT LOLOLOL" "NEXUS 7 FTW!!" "Apple is trying to get people to buy the new iPad 4" And a whole bunch of other ignorant things. That's exactly what I'm saying too haha. Even if this was true, this is only 1 in the multi-millions of N7's sold. To put this in context you probably have a better chance of winning the lottery than getting a melting N7.